The US Attorney General, Robert Wilson, has delivered a brief of appeal against an order to allow bail to former President Ricardo Martinelli, to the US Court of Appeals for the Eleventh Circuit, based in Atlanta. The appeal was promoted by Wilson, represented in the case by Christopher Jackson Smith, lawyer of the Criminal Division of the Department of Justice, who has accompanied the Miami attorney's office throughout the process to extradite Martinelli to Panama, to face trial for the unauthorized interception of communications from National the Security Council in his government. The letter was delivered on the night of Wednesday, March 7 although the appellants had until the 26th of March to meet the requirement. Prosecutors believe that Martinelli, with his wealth and overseas contacts, is a flight risk. communicated with the Court to be recognized as defenders of the ex-ruler. It is the same team that has represented him in the hearings held in Miami. On February 13, Judge Marcia Cooke, of the Court of the Southern District of Florida, granted bail to Martinelli. One day later, the judge herself suspended the release, after Miami prosecutors and the Department of Justice announced their appeal in Atlanta. Martinelli's extradition was certified on August 31 last year by Judge Edwin Torres, also from the Court of the Southern District of Florida, and endorsed by Judge Cooke. 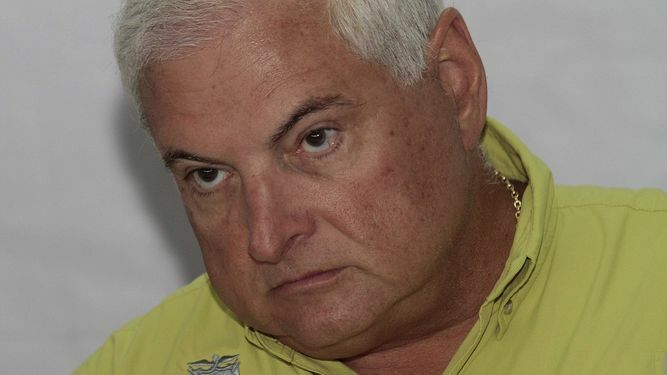 Martinelli will mark hi s9th month in the Federal Detention on Monday, March 12. He was arrested near his luxury mansion in Coral Gables, Miami in June last year.